7.) 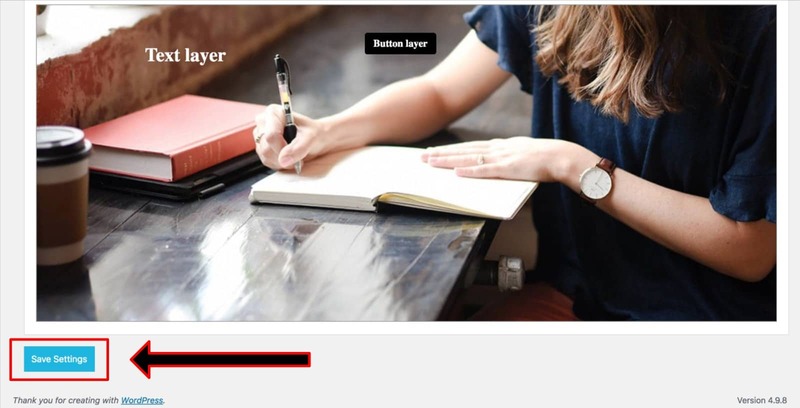 When you’re happy with your slider, scroll to the bottom to save your settings. 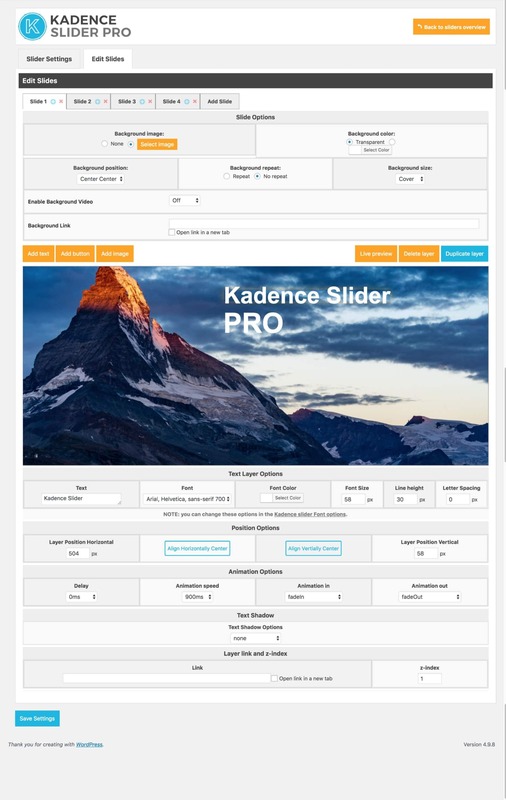 The Kadence Slider also has the capability to add a video background. 1). Firstly, enable the background video. It is recommended that you use YouTube to save your site’s resources. 4.) 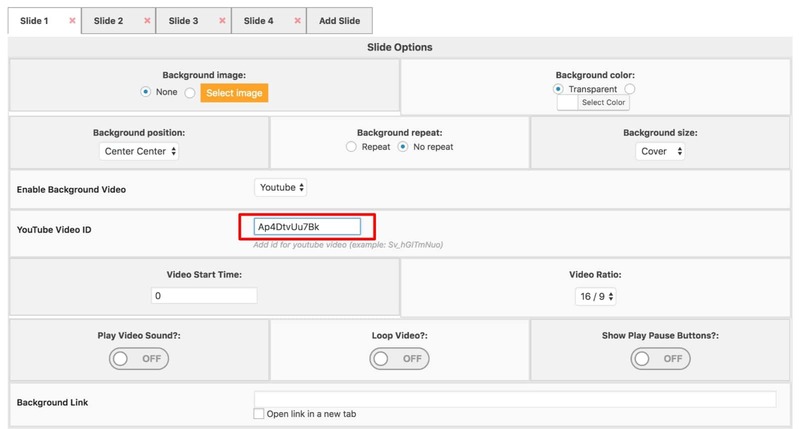 If you prefer to upload your own video, simply select the HTML5 option and upload your video as you would any other file.